Without any intervention, codling moth numbers increase about four-fold from generation to generation. 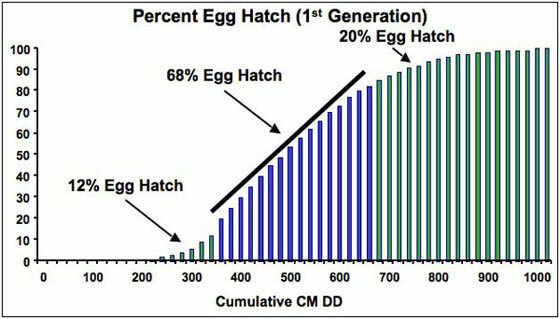 Therefore, targeting the first generation is important to reset the population size to a minimum. Control measures for subsequent generations can be adjusted to the local pest pressure indicated by trap counts. 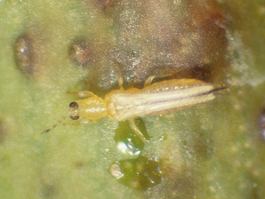 San Jose scale is a relatively easy pest to control, but a dangerous one to leave uncontrolled. 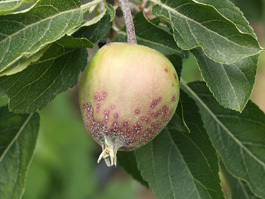 After a few years of infestation, limbs and even entire trees can be killed if heavily attacked, and high percentages of the fruit can be infested. Large trees are most often associated with scale problems, because of the suitable habitat they provide and the difficulty of obtaining thorough spray coverage. However, young trees can also develop a scale problem surprisingly quickly. 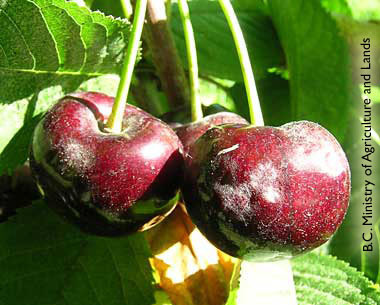 Cherry growers in the Pacific Northwest have multiple fungicides at their disposal for managing powdery mildew. Products in the powdery mildew “toolbox” include members of the DMI, QoI, SDHI, quinolone synthetic compounds and multiple “contact” fungicides from other classes (e.g. sulfur and narrow range petroleum oils). A more inclusive list of fungicides is presented in the table below. The table includes fungicide class information, Fungicide Resistance Action Committee (FRAC) group number or code, and resistance risk. Western flower thrips feeding causes bloom distortion and poor fruit set. Egg-laying punctures create "pansy spot" on some cultivars. Adults can be sampled using either beating trays or blue sticky cards. Around-the-clock and accurate weather data are at the core of DAS. But when they are missing, DAS cannot make model predictions. 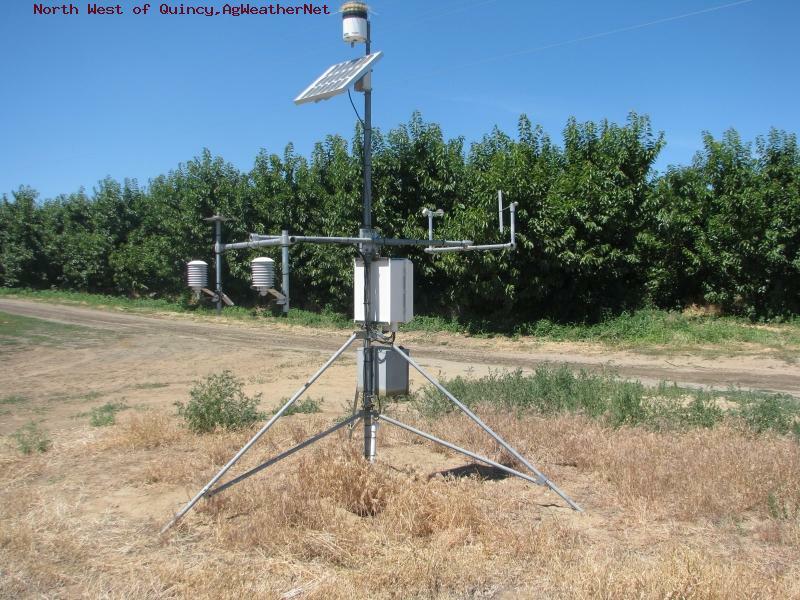 While insect and plant development models are less prone to disruption, disease models cannot run without the necessary weather input.